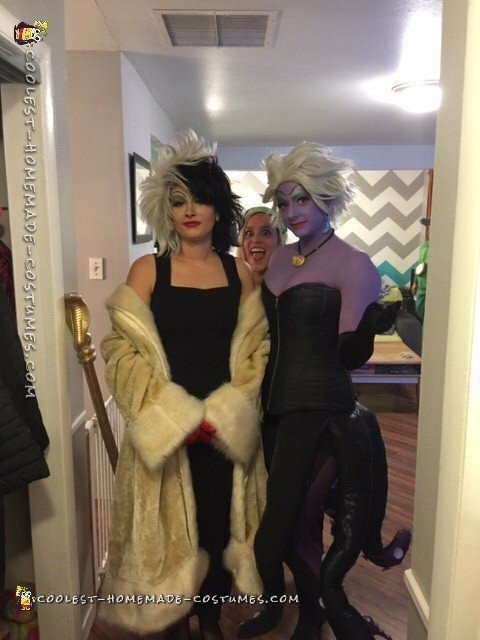 The story behind this Disney Villains group costume is that my husband and I are obsessed with Halloween and love to create our own costumes and dress up! 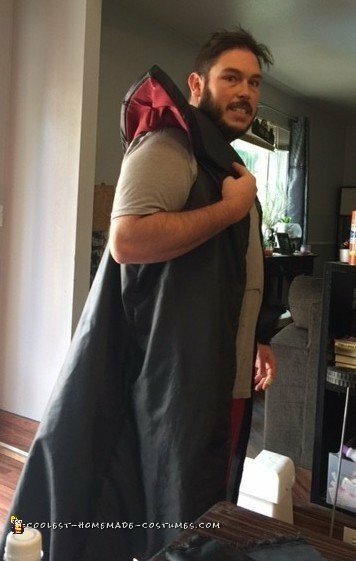 We always design and make our costumes ourselves and try to do iconic or recognizable characters. 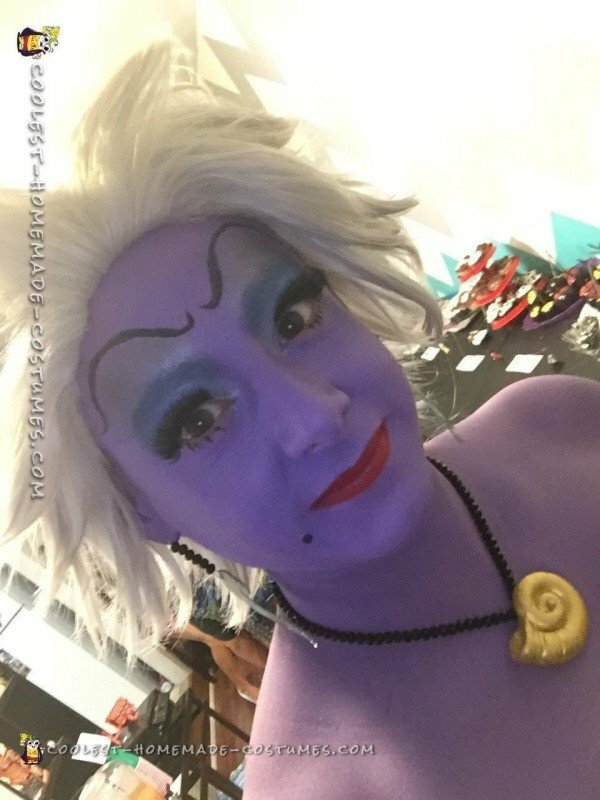 Sometimes we throw a big party and other times we go out to show off our costumes! 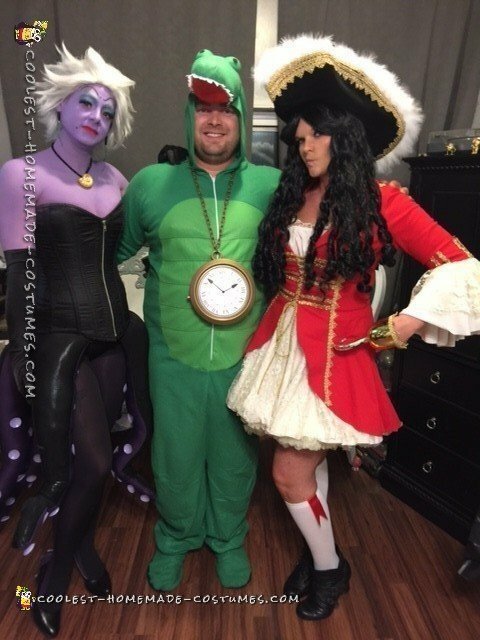 When we do hit the town, we usually win in costume contests! 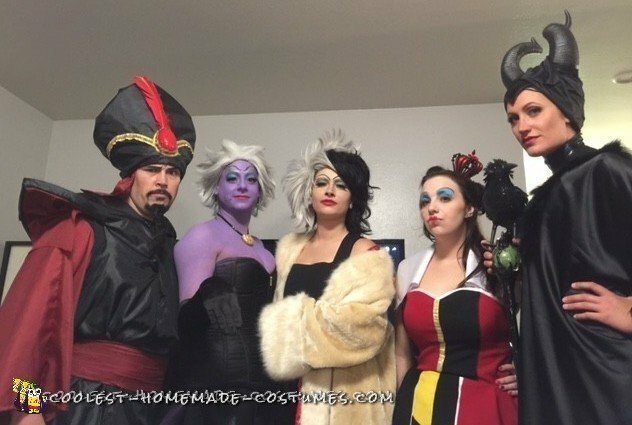 Ursula, Jafar, The Queen of Hearts, Cruella De Vil, Captain Hook, Maleficent, the Voodoo guy from princess and the frog. We started out drawing up ideas on how to create octopus tentacles and gathering supplies we would need for both Jafar and Ursula. We made the tentacles out of two different stretch fabrics and bought some medium/small suction cups to use as well. 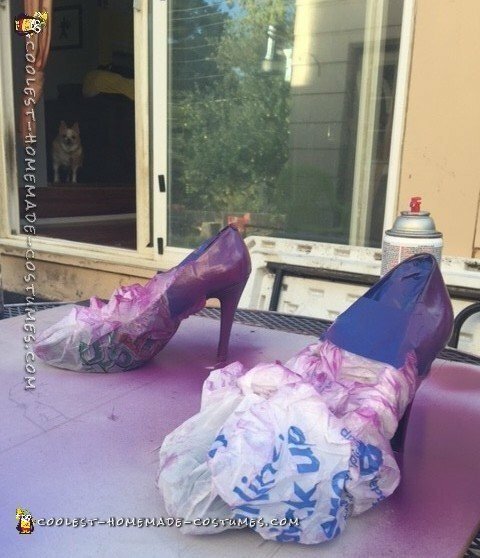 I painted them to fit in with Ursula’s coloring. Once we sewed together the fabric for the tentacles, we then stuffed them with Polyfill and some wire for shape, and hot glued on the lavender suction cups. We then sewed (and glued for more reinforcement) the tentacles to a belt we found at a thrift store. 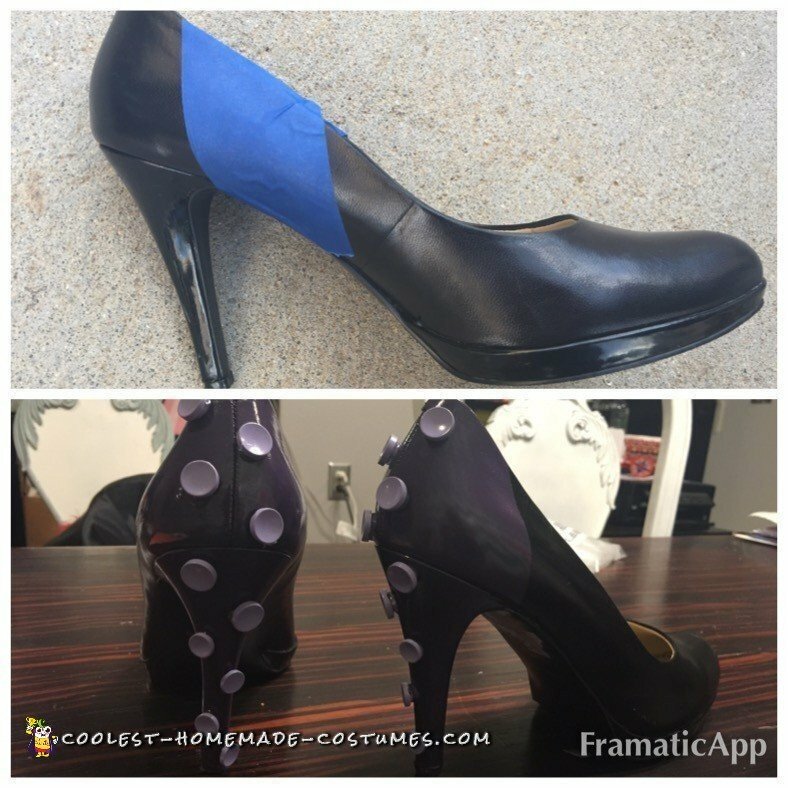 I also bought some $7 black high heels at the same thrift store to make my shoes. 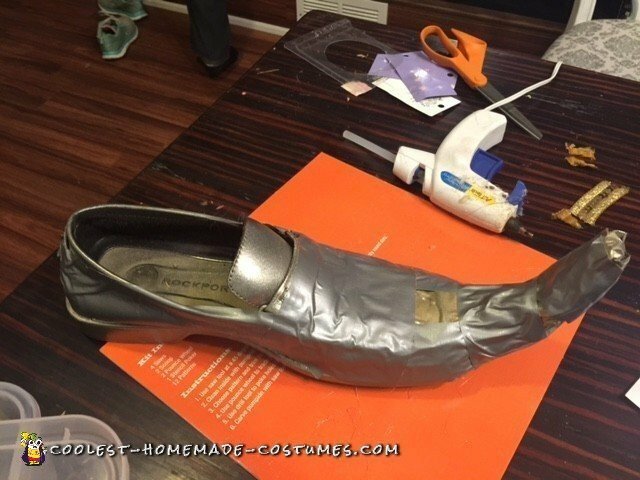 I like to custom make my shoes to match my costumes. 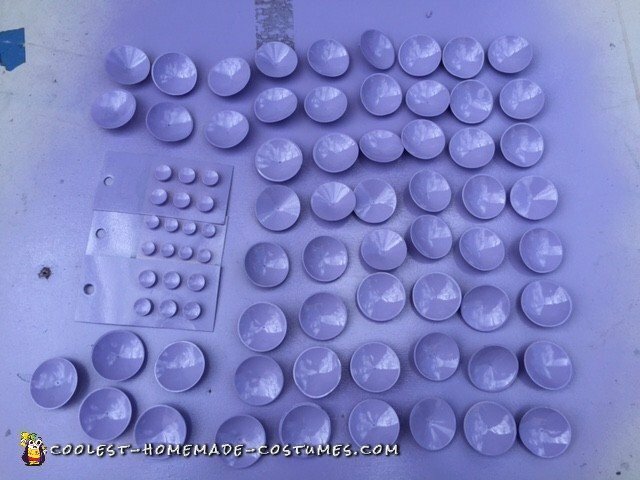 I painted them purple on the back to match the look of my tentacles and then painted and glued concave tiny buttons to the back to resemble the suction cups like on the tentacles. They turned out ADORABLE! 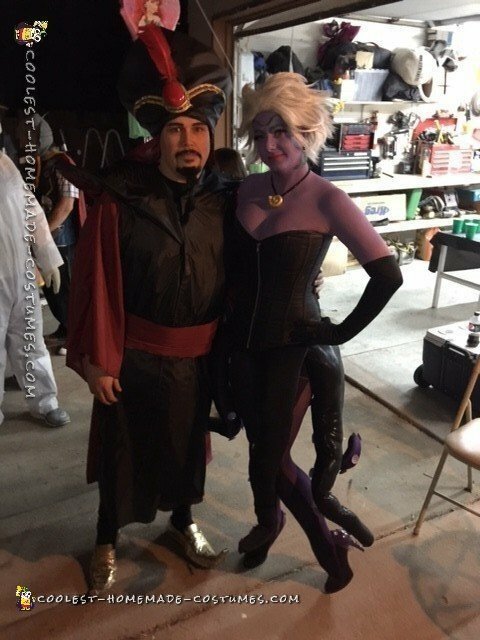 My husband made his whole costume as well, mostly just sewing fabrics together to resemble the Jafar look. He made the hat out of foam (which he bought in sheets) and shaped it and glued it in the hat shape he needed. He also made the shoulder pieces out of the same foam. He then bought a feather and a plastic soap mold which we painted red to use as the jewel. (We were unable to find a jewel large enough or inexpensive, but the painted soap mold worked perfectly!!) and some gold ribbon to finish off the hat! 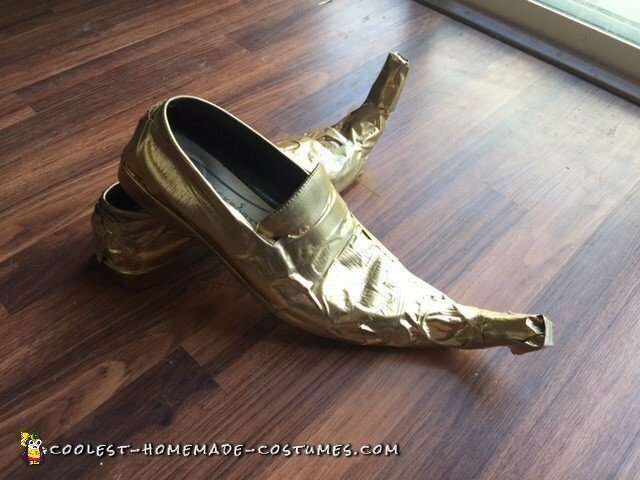 For the shoes, we used duct tape on some thrift store dress shoes and painted them gold. I forgot to mention my necklace is earrings! The earrings are Flotsam and Jetsam, her two “poopsies” (her pet eels). 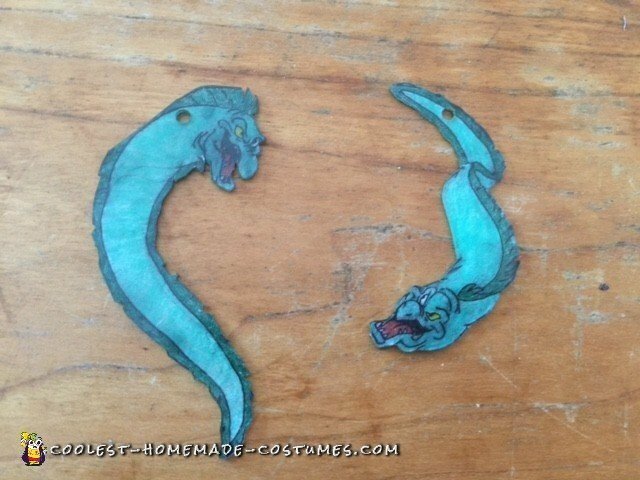 I drew these on Shrinky Dink paper and added some beads. 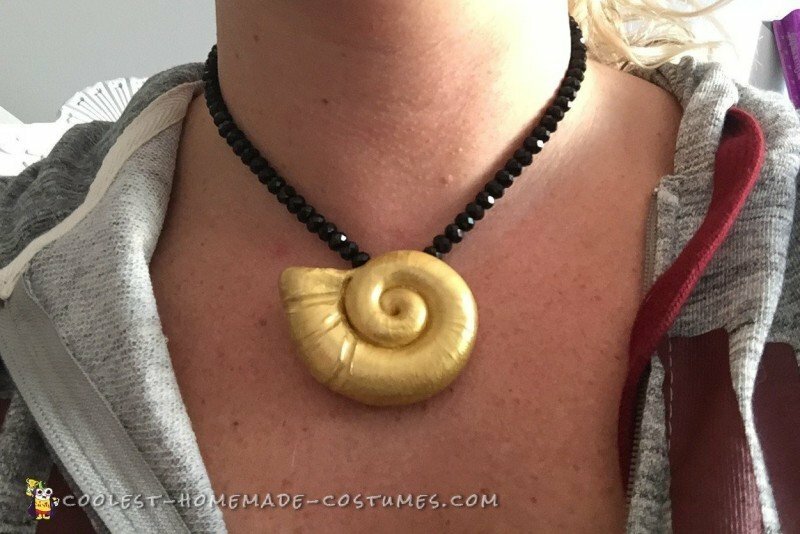 I made the necklace out of Sculpy and used the same beads to match the earrings! I purchased a wig which I then styled myself to resemble the characters hair. 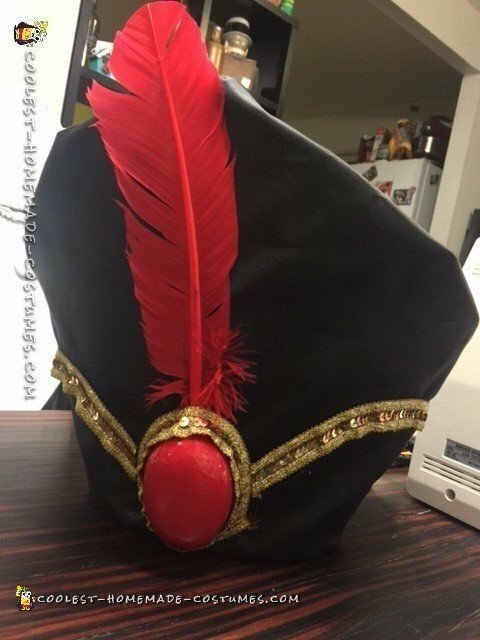 We also purchased a goatee for the Jafar costume which we also styled. 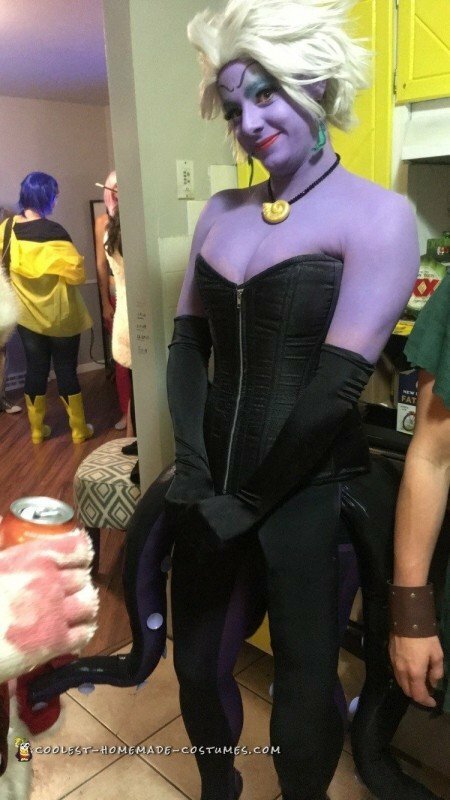 My top was not homemade, it was also purchased for this costume. 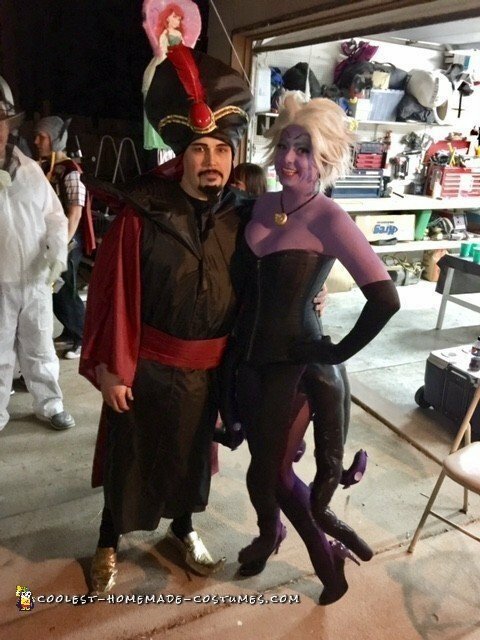 Everyone LOVED our costumes, and wouldn’t stop talking about them! 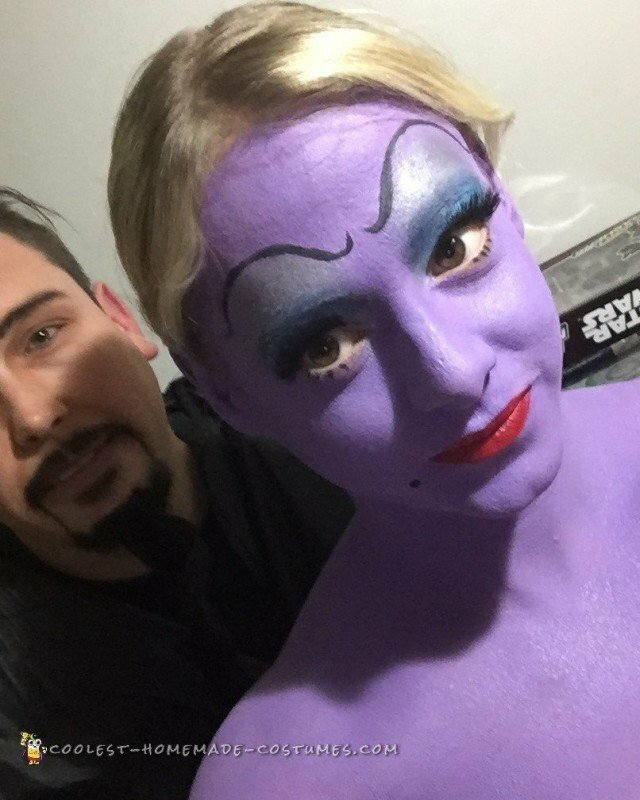 This was a fun Halloween!